Since Memorial Day and the 4th of July is coming up soon, I thought I would make a Patriotic Mason Jar to help decorate my house. Step 1: If your mason jar isn’t brand new, make sure the jar is clean and dry before continuing on to the next steps. Step 2: Paint 2 coats of white paint on the outside of your jar. Make sure you allow proper drying time between each coat of paint. 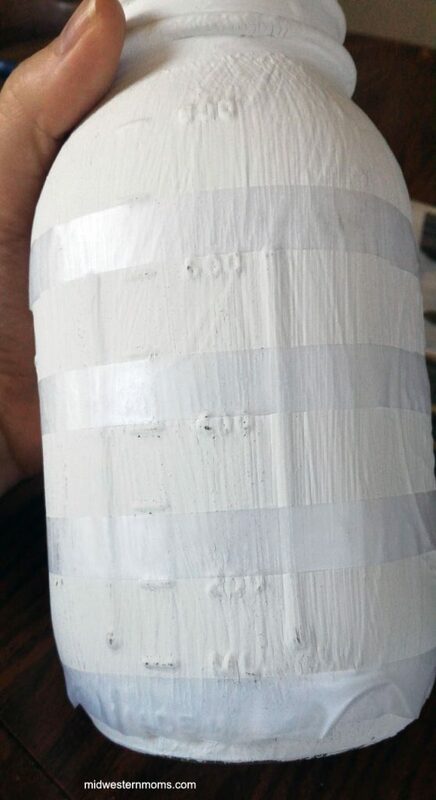 Step 3: After allowing proper time for the last coat of white paint to dry, use the tape to tape stripes around your jar. The taped off area will become the white stripes of your jar. Step 4: You will need to paint both the blue and red areas at once. This is why you need the 2 paint brushes. Step 5: While the blue and red paint is still wet, remove the tape. You may need a sharp knife to get the tape started. You do not want to do this step while the paint is dry. Step 6: Once all the paint is dry, use your sandpaper to sand off the paint on the jar details. You will have to get rough with the jar to get the paint off. This makes it look a bit weathered. TIP: If you happen to get sandings of the red in the white – DO NOT WIPE DOWN! It will make pink paint…Trust me. Use a dry paper towel to get all the dust off your jar. If needed, you can touch up the white paint using a smaller brush. Step 7: Spray your jar with the clear coat to seal it. I did this part outside where it was properly ventilated. Step 8: After the jar dries, fill with some pretty flowers or however you plan to decorate. 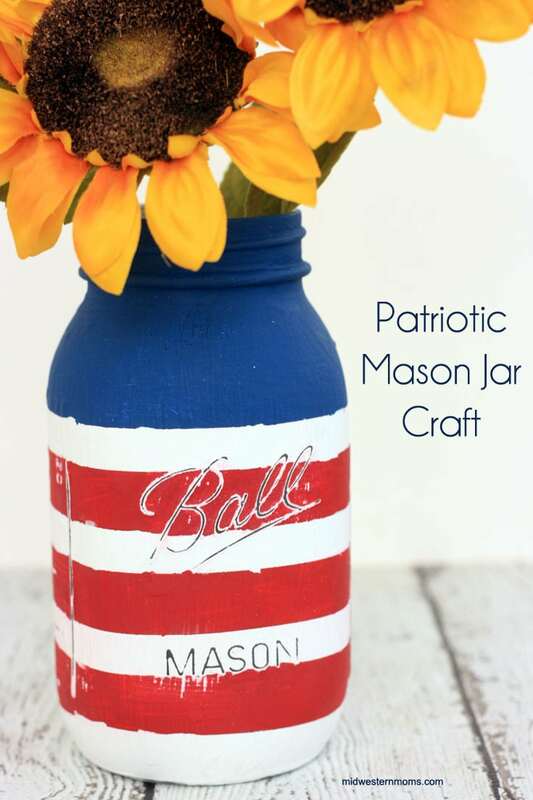 Check out Jen’s Patriotic Mason Jar Craft. She made it with a Captain America twist!